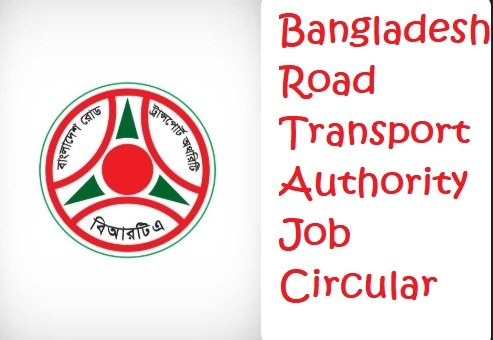 Bangladesh Road Transport Authority BRTA Job Circular 2019 has published recently. It is a Government Job Circular of Bangladesh. The Authority of BRTA has announced Permanent and Temporary Job Circular where a total of 20 Job Vacancies are available fewer than 6 Posts. The Eligible Candidates can apply to this Job from the Current time. The Last Date of Application is 25 April 2019. If you want to apply to the Bangladesh Road Transport Authority BRTA Job, You need to download the Application form by visiting www.brta.gov.bd. After downloading, Fill up the Form and send it via Post or Courier Service to the BRTA Headquarter. Details Address is available on the Image Circular. 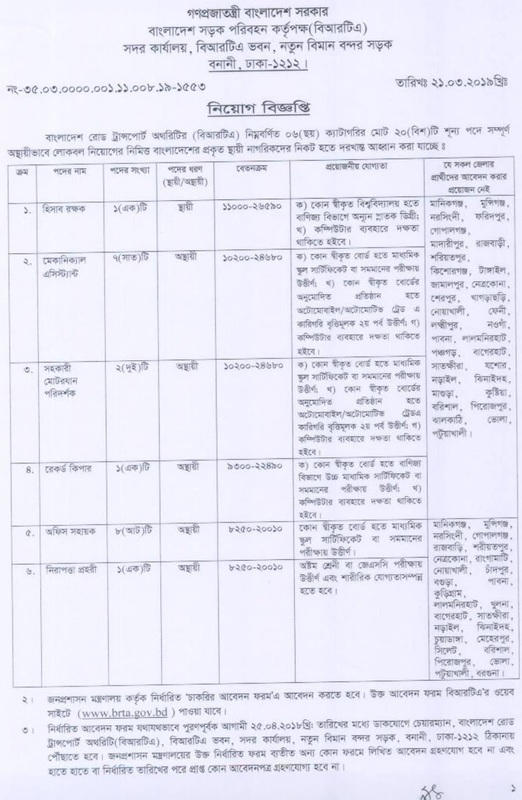 Here is the official Job Circular Image of Bangladesh Road Transport Authority (BRTA) Recent Publish Job Circular which published March 2019. If you have any query or information, we recommend you to contact BRTA. You can also get support us by asking any question on the Comment box. We will respond to you back early. Thank you for being with us.